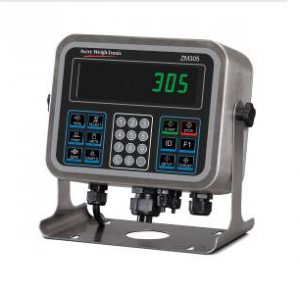 The ZM305 Series offers all the functions of the ZM303 weight indicator, but with added power. It also supports in-motions weighing, making it an ideal solutions for conveyor scales. Both ZM305 models can connect with up to 14 analog weight sensors and its higher excitation voltage makes it suitable for applications that require input from multiple weight sensors at a longer distance.